CUTCRAFT MUSIC GROUP, INC. Timothy James - CUTCRAFT MUSIC GROUP, INC.
California born and raised country artist Timothy James always knew his passion for performance would inevitably force him to leave his small rodeo town of Lincoln. At the age of 15, James joined his high school choir and began to truly discover his love for singing. Striving to find his voice, James engulfed himself in the work of classical and country music legends like Elvis Presley, Frank Sinatra, George Strait, Garth Brooks and Tim McGraw. He began to perform and hone his skills at small local venues and convalescent hospitals, and soon found himself a member of multiple hometown theater groups in the Sacramento area. After high school, James headed south to Los Angeles. Acquiring multiple scholarships, he attended The American Musical and Dramatic Academy (AMDA) in Hollywood, where he studied theatrical performance from 2009 to 2012. During that time, James crossed paths with local pop/folk duo Everett Coast and ultimately toured with them throughout the state as an acoustic trio. The trio performed at many notable venues including: House of Blues (Hollywood); Howl at the Moon (Universal CityWalk); and the Dodger Stadium Right Field Reserve (Los Angeles), where they provided pre-game entertainment for the LA Dodgers. After a few years in Los Angeles, James decided it was time to take the next step in his career and relocate east to Nashville, where he began to record his first original songs as a country artist with guitarist, songwriter, and fellow Northern California native, Jeff Matej. During that time, he had the privilege to work in-studio with Jason Aldean band members and New Voice Entertainment producers Rich Redmond, Tully Kennedy, and Kurt Allison. 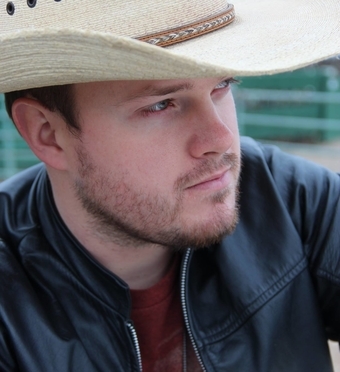 In February 2016, James released his debut EP, “Comin’ Home.” The album includes five original songs and is available digitally on iTunes, Spotify, and iHeartRadio. James hit the road shortly after its release and toured his EP on “The Gravity Tour” for the remainder of the year. While on tour, he had the opportunity to open for major label country artists David Nail (Petaluma, CA) and LoCash (Sacramento, CA). Prior to his album release, Timothy James signed a publishing and development deal with music publisher, Cutcraft Music Group/Imagem Music. James suddenly found himself on the same roster as artists like Daft Punk, Mark Ronson, Pink Floyd, Chet Faker and many more. Concluding “The Gravity Tour,” James returned to Nashville and is currently preparing to record his next album. In the meantime he’s keeping busy with his live video series Take Me Back Tuesday’s, where he plays songs that have inspired his sound and shaped him as an artist.